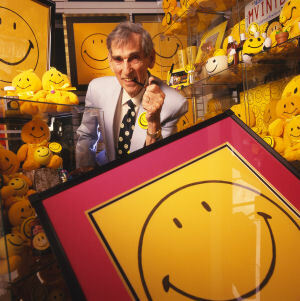 On July 10, 1921, the inventor of the smiley, Harvey Ball, was born. Ball was born and raised in Worcester, Massachusetts by his parents Ernest G Ball and Christine or Kitty Ross Ball. During his time as a student at Worcester South High School, he became an apprentice to a local sign painter, and later attended the Worcester Art Museum School, where he studied fine arts. Ball was based in Asia and the Pacific during World War II and was awarded the Bronze Star for heroism during the Battle of Okinawa. He served 27 years in the National Guard, retired as a brigadier general in 1973 and then served six years in the Army Reserves. After World War II, Ball worked for a local advertising firm until he started his own business, Harvey Ball Advertising, in 1959. In December 1963, American commercial artist Harvey Ball was assigned to create a smiling face for an insurance company in order to improve their employee morale. In between about 10 minutes, he drew two dots and a smile into a yellow circle and the smiley was born. 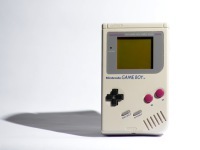 More than fifty million buttons were produced after Ball’s design, he earned a total of 45$ for his creation and never decided to apply for a trademark. 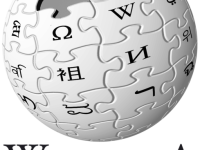 From there, the smiley was globally used in many advertisements and political campaigns. 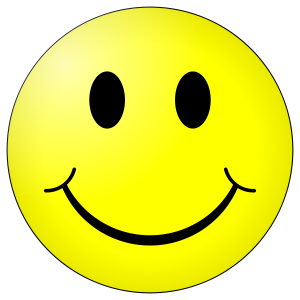 The phrase “Have a happy day” became associated with the smiley although it was not part of Ball’s original design. Philadelphian brothers Bernard and Murray Spain designed and sold products with the phrase and logo in the early 1970s. They trademarked the combination and later changed the phrase to “Have a nice day”, which itself has become a phrase in everyday use in North America. In the 1970, during the Nixon-era in America, it was associated with optimism through the summer of love and many popular music artists dealt with the smiley, it was even parodied in the movie Forrest Gump. The smiley was introduced to France in 1972 as a signal of a good news story in the newspaper France Soir. 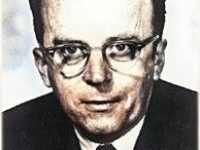 Frenchman Franklin Loufrani used the image this way and made swift moves to trademark the image. 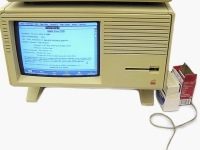 His company now turns over $100 million a year and became embroiled in a copyright dispute with Walmart over the image in the 1990s. Through the years the smiley survived in people’s minds and was able to impact the beginning computer-era of the 1980’s. The professor of computer science Scott E. Fahlman is regarded as the inventor of the electronic smiley (emoticon), because of introducing the negative smiley 🙁 in 1982. In telecommunications, smileys were then used as ASCII-characters to emphasize a certain meaning of a sentence. In 2005, Microsoft wanted to save the rights for their ability to transform ASCII-characters into smileys, but did not succeed. Today, many variations of the original smiley face and emoticons exist and differ much from the original design by Harvey Ball. With the exception of the $45, Harvey Ball earned nothing by not legally securing the motive. Despite the loss of money, he continued to work with the smiley and founded the World Smile Corporation, whose sold smiley products benefit children’s charities all over the world. Harvey Ball died on April 12, 2001, aged 79.